“Ben Osborne is a writer, DJ, curator and driving force behind the Noise of Art, a collective which marries electronic music with the performing arts, film and other visual media” (read interview in M Magazine). He is also a musician and broadcaster and appears internationally. He currently has two London residencies. For more information and event dates click here. “Ben Osborne opens your ears to shimmering electronic delights” Time Out. Ben is the founder of Noise of Art, and long running slipped disco club , has worked at the forefront of digital music, and written extensively about music for newspapers and magazines (including for Music Week, the Guardian, DJ Mag, i-D, The Times and Independent On Sunday, amongst others). He is the author of two books, an Arctic Monkeys biography and a book on the development of electronic music and club culture (described as “essential” by Gilles Peterson). He’s programmed music at leading music venues, art galleries and unusual spaces (including the Tate and BT Tower) and festivals. 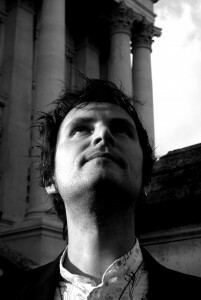 In 2009 Ben’s work with electronic music, film and cross platform art was recognised by the PRS for Music Foundation, which awarded him a New Music Plus Award – supported by the Arts Council and seven major London arts institutions. Amongst the venues he’s played are Queen Elizabeth Hall, Tate Britain, Tate Modern, The Roundhouse, Brighton Dome, National Portrait Gallery, Edinburgh Corn Exchange, Glasgow Art School, Volks Buhne Berlin, Brighton Dome, Chateau Du Pompiers Canal St Martin, Paris, British Film Institute, as well as festivals such as Latitude Festival, Big Chill Festival, Great Escape Festival, Spot Festival, Brighton Festival, Sonar opening party, Ether Festival and many club venues and warehouse parties. He has presented dance music radio shows for Xfm, NME Radio and Totallyradio. 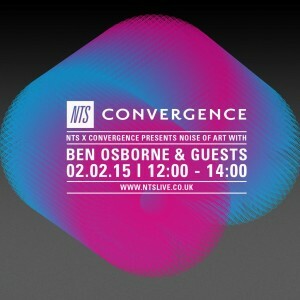 “DJ and purveyor of the coolest parties in East London, Ben Osborne.” ilikemusic.com. London, and has hosted various terrestrial and online shows, released a handful of critically acclaimed 12s under various names, and made guest appearances on BBC Radio 1, BBC World Service and BBC Radio 4. Ben has been resident DJ for several long running London club nights and organised one offs in a variety of recognised and unusual venues.